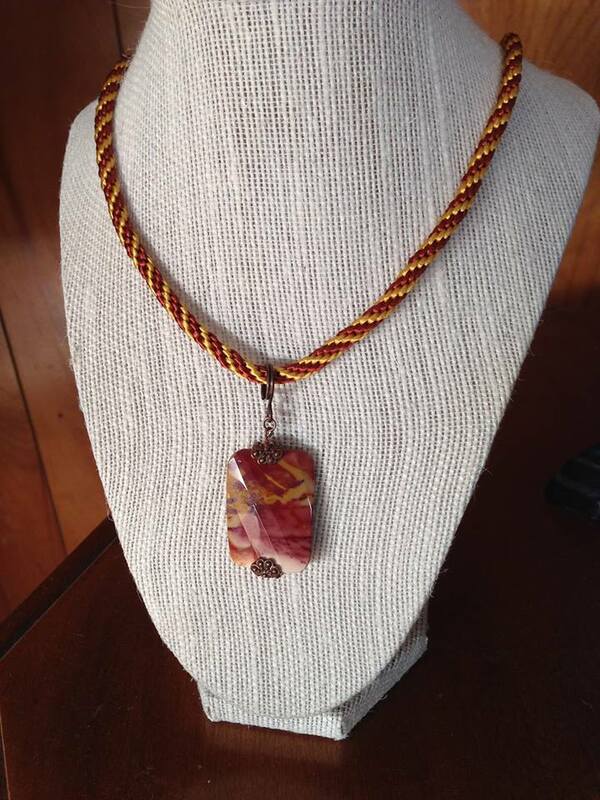 This is Mookaite from Australia, just like the burgundy piece I have for sale at the Wildflowers Shop in Elkin. Mookaite can be burgundy, pink, rust, gold, white or a combination of any or all of those colors! 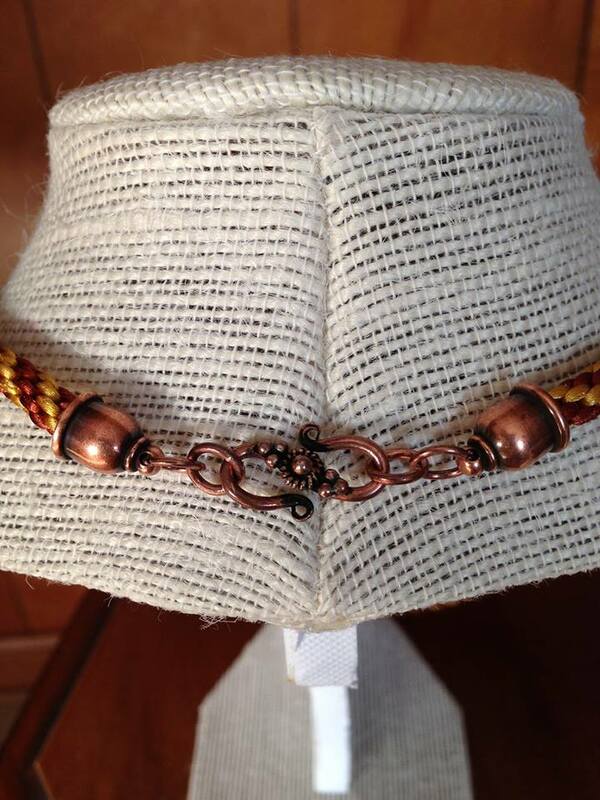 This piece is mainly rust and gold, so I wove a Kumihimo braid of rust and gold satin cord. I’d hoped to finish it in the fall, but had to find just the right antique copper findings! Filed under jewelry and tagged copper findings, gold, Kumihimo, mookaite, necklace, rust |	Comments Off on I Sold a Necklace!! !